This game is definitely not marketed for children, nor would I buy it just for the kids. 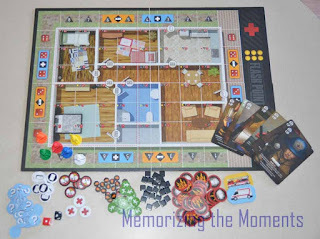 It is one of the first cooperative board games I got. My dad, brother and I played often, especially around holiday breaks. The idea is that you're all firemen trying to save victims from a burning building. You have to put out fires, prevent explosions and save the people, before too many of the die or the building falls down around you. While it is slightly complicated at first, it was easy enough once we got going. I also liked that the rules included quite a few variations to make it simpler or more difficult, including two different playing boards. When Xander was about 4-4.5 he started joining in the play. 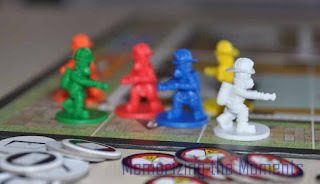 Since everyone playing either wins or loses together, it encourages cooperative play and strategy, which was perfect for bringing him in. I'm a little bit selective about which character I give him, since some of them have complicated rules, but he's pretty good at knowing what he/should do on his turn. It is a great way for him to be included in something we would want to be doing when we get together anyway. I think this is a great introductory game as a bridge to the world of grown up games. We've played with some non gaming friends (including a 10 & a 12 year old) and they seemed to pick it up just fine. 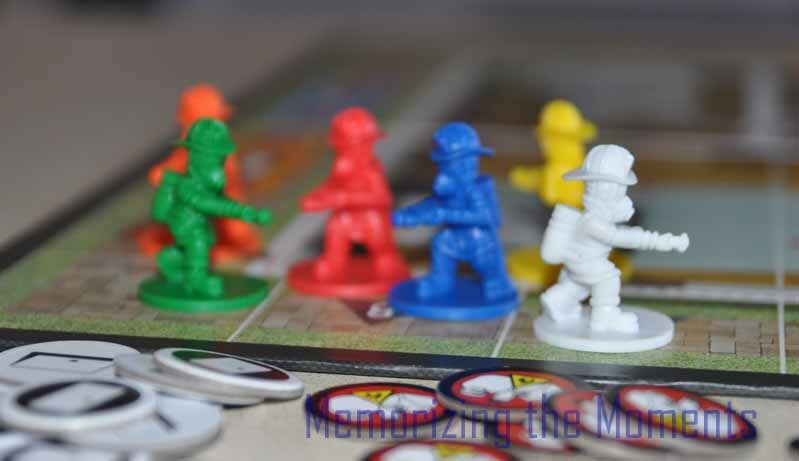 There's really no reading required for this game (other than reading the rules). While it doesn't explicitly focus on any academic skills, I see a lot of logic development. Since we plan strategy cooperatively, he can hear the adults' thought process and pick up our reasoning. He's started being able to plan ahead a little bit and figuring out which is the best use of resources and number of moves. These are skills he can carry over into other games and even other types of tasks. 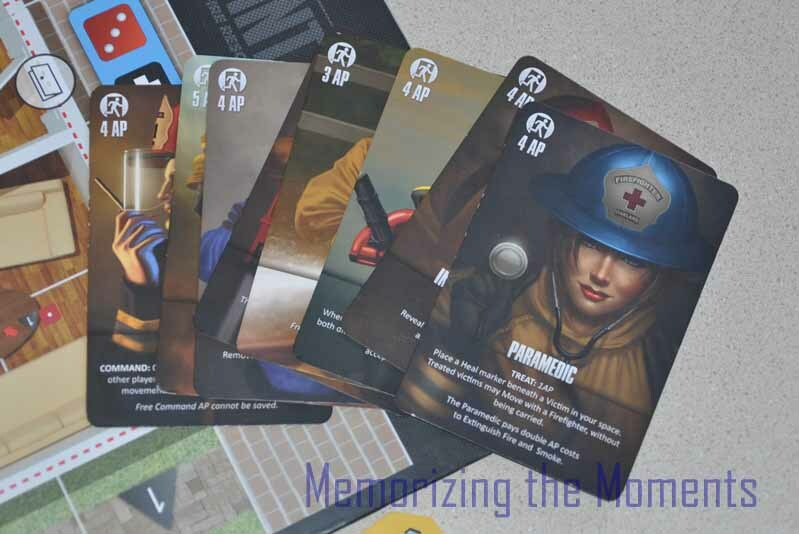 First of all, the game pieces are little fire fighers, so Xander usually has the extras to play with while we're playing the game. 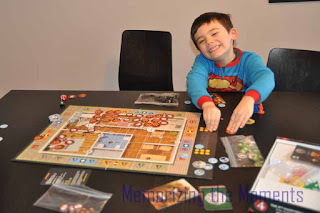 He also likes to use the game to come up with his own imaginative games. I believe when this picture was taken there were a couple of sibling firefighters with super powers that had to save the people.